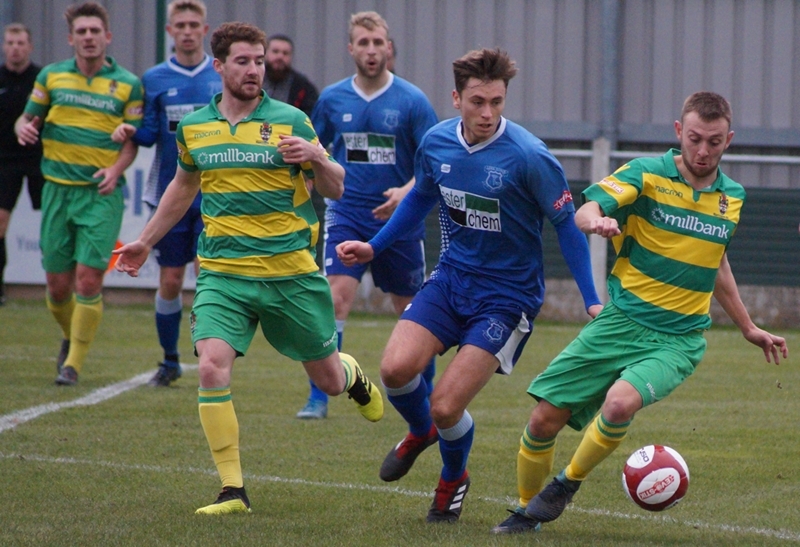 League leaders Runcorn Linnets edged out Blues 1-0 at the Millbank Linnets Stadium on Saturday. A disappointing week for Leek continued as they failed to score for the third consecutive match after being knocked out of the FA Trophy by Stamford on Tuesday night. Despite that, Neil Baker opted for an unchanged side, but once again Blues struggled to create much to threaten the opposition goal. Linnets had a chance in the opening moments when Danny Roberts had to come out and make an important block. Jordan Johnson got a good shot in from 20 yards on 8 minutes, but it was comfortably held by Dylan Forth. The only goal of the game came in the 12th minute when Runcorn worked the ball through the Blues defence and Kristian Holt fired home with a low shot into the corner of the net. Little happened for the remainder of the half and despite a good crowd of 375 watching, the atmosphere was subdued. Town's best move of the half came three minutes before the break, Rob Stevenson produced a good cross from the left which was nodded on by Johnson and met by Aaron Bott on the volley, but he was unable to keep the difficult chance down ans the ball went over the crossbar. The second half continued in a similar vein but as the match wore on Stevenson was becoming more of a handful for the Linnets defence. Despite this Blues failed to get an effort on target, with substitute Tim Grice coming closest with a header just over from a Stevenson cross. Leek lost Scott Lycett to a hamstring injury in the second half with Jesse Bavanganga replacing him at the back but Roberts was well-protected with little to do himself either. Overall, not an awful to choose between the teams in a game that was a poor advert for the division, but Baker will be concerned at the lack of creativity from his side over the last week.